The first Thanksgiving was an occasion for people to gather together and celebrate a good harvest. 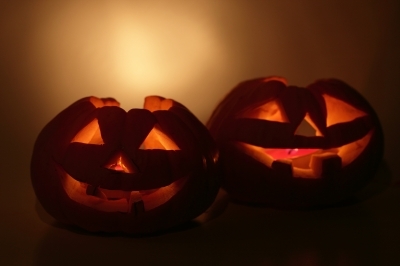 Most cultures around the world have harvest celebrations, though not always in November. (Abraham Lincoln was actually the first US president to propose an official Thanksgiving holiday in our country. You can read more about Thanksgiving history here.) Harvest celebrations coincide with a country’s seasons and the kind of crop they are harvesting. Pongal, the harvest festival of Southern India, is celebrated in January or February. 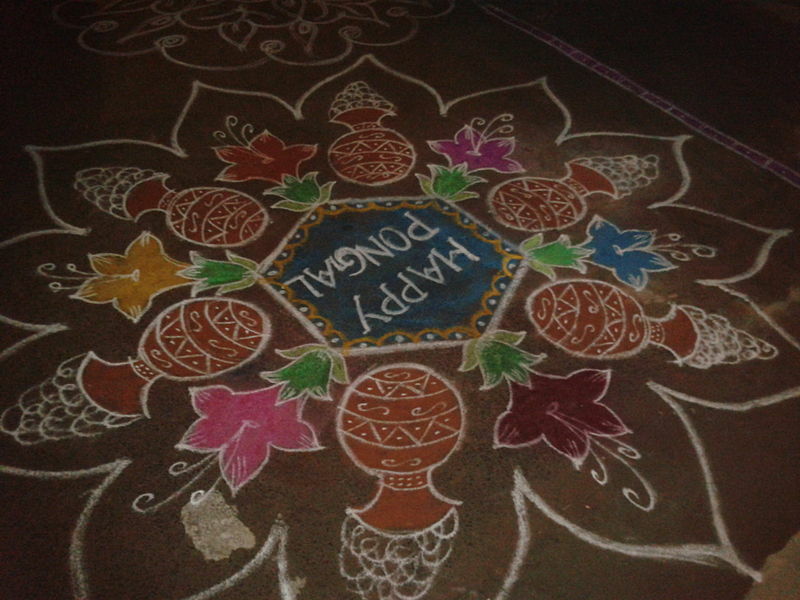 It celebrates the successful harvest of rice, sugar cane and tumeric. 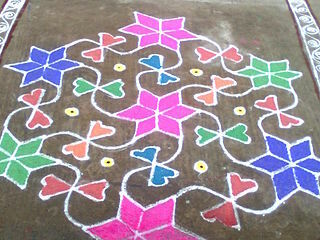 Kolam drawings are traditionally symmetrical and placed in front of doors. These drawings are believed to bring happiness and prosperity. 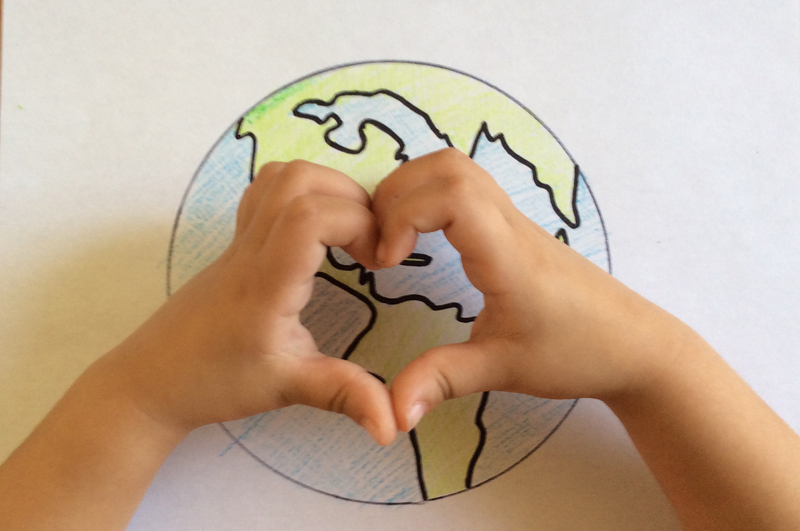 For this activity, you just need some colored chalk and clear weather outside. The festival of Sukkot, celebrated in September or October, is a time to remember the culture’s agricultural roots. The holiday centers around a special kind of dwelling called a “sukkah,” which has a roof of organic material, like palm leaves. The inside of the sukkah is strung with bright, shiny decorations. 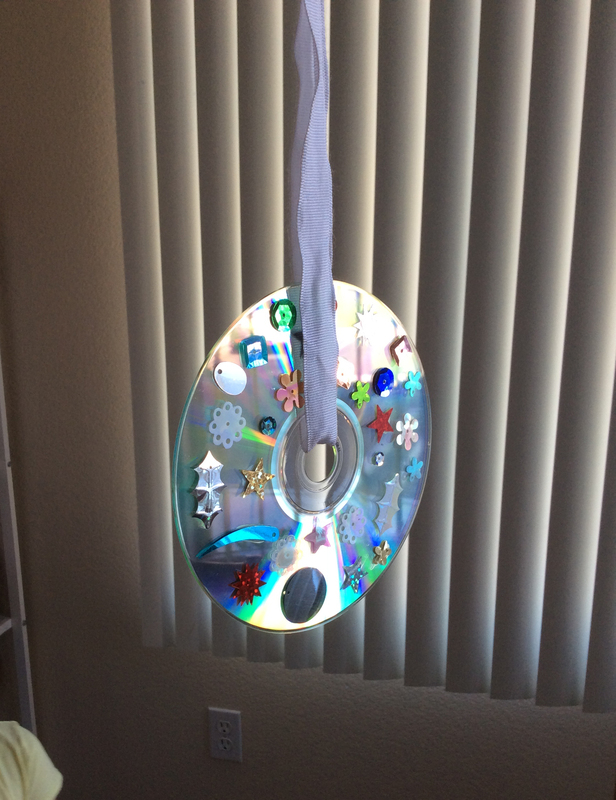 Make this craft with old, scratched CDs, and anything shiny and colorful you have on hand. The Mid-Autumn Festival on August 15th celebrates a successful harvest and also honors children. Kids get special lanterns and take part in a parade. 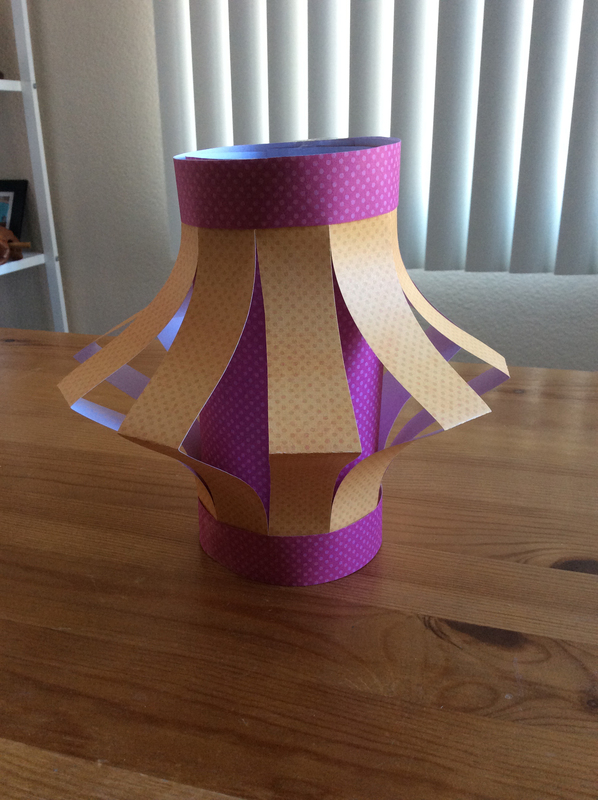 Our lanterns are made from paper and tape, and can inspire your own kids’ parade at home! The Madeira Flower Festival takes place in the Spring, when flowers are abloom. The festival features a parade with floats and flowers everywhere, especially worn on clothing. 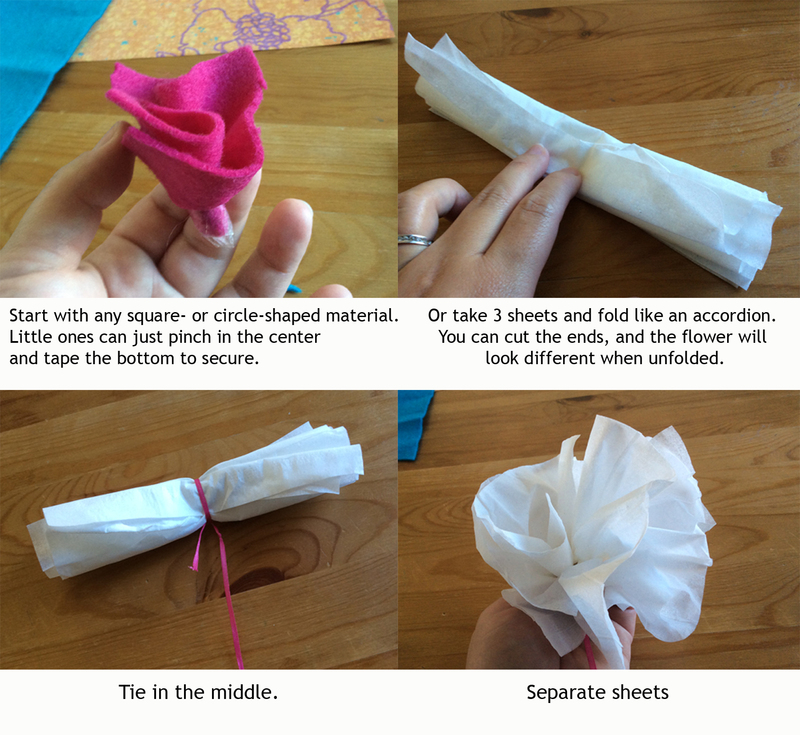 Kids can make flowers out of any material you have: gift wrap, kleenex, colored paper, paper towels, or scraps of fabric. 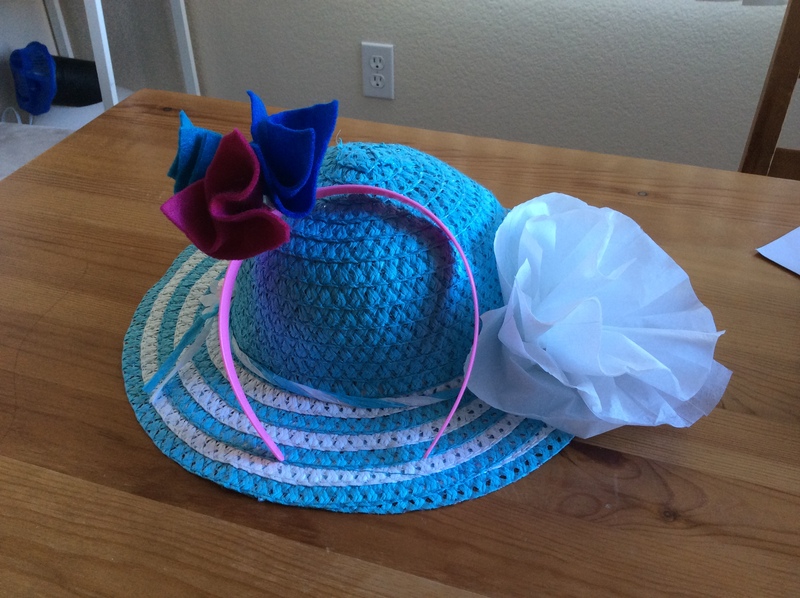 The flowers can be secured with pipe cleaner, tape, yarn, or rubber bands onto headbands, hats, belts or any article of clothing. If the weather is nice, the kids can have a parade, in true Flower Festival spirit. The UK’s Harvest Festival happens in September or October, and includes singing and decorating churches with baskets of food. 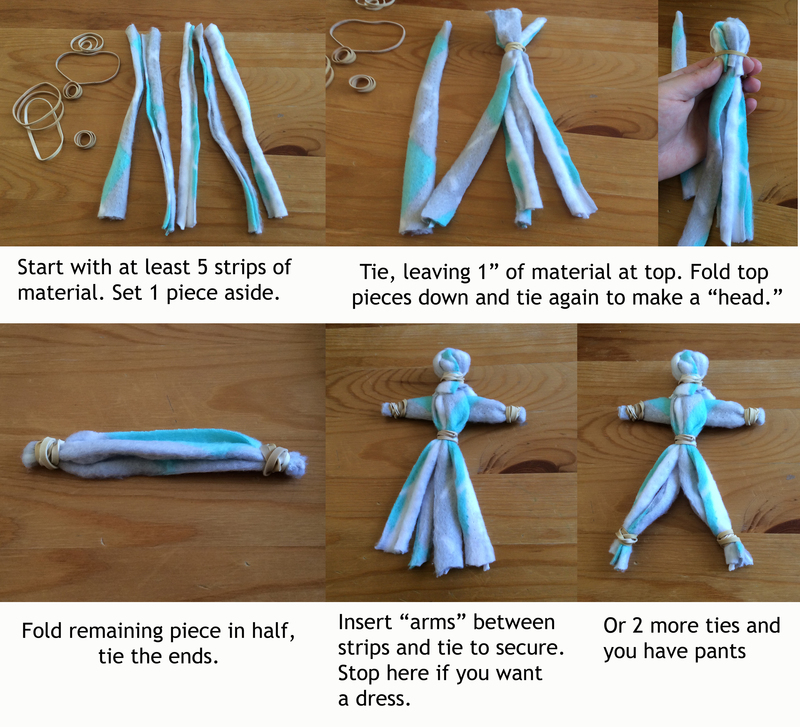 One traditional harvest time craft is making corn husk dolls. Since I didn’t have corn husks on hand, I used scraps of fabric. 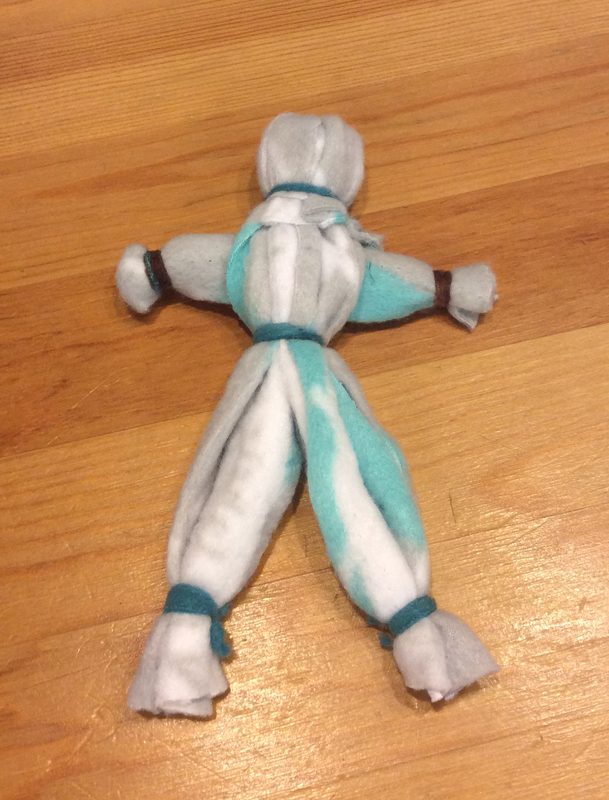 Once completed, kids can make hair from yarn and clothes from felt. 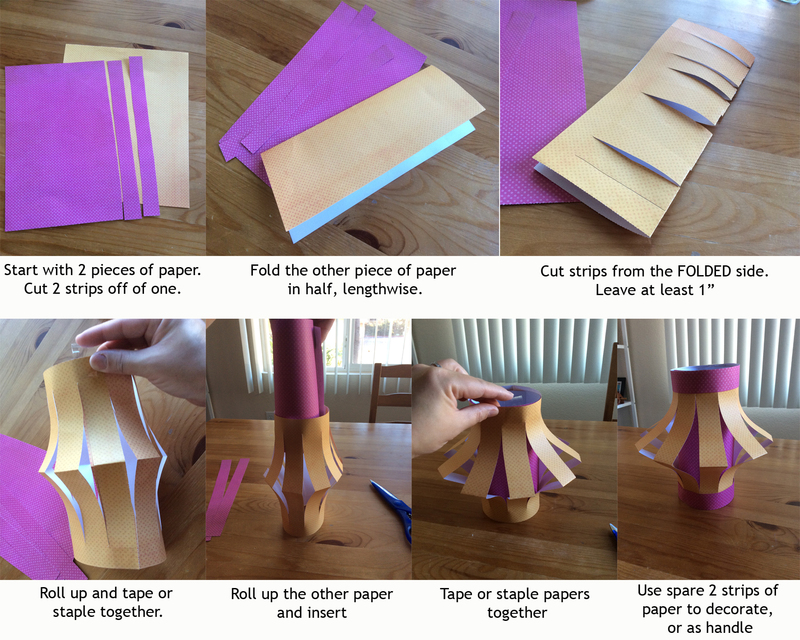 Give these crafts a try this Thanksgiving, and add some multicultural traditions to your celebration. That’s one more wonderful thing to be thankful for! As the days shorten and the weather turns cold and crisp, families are warming up with their winter holiday celebrations. Candles, lights, sweets and gifts highlight this time of year in many cultures around the world. 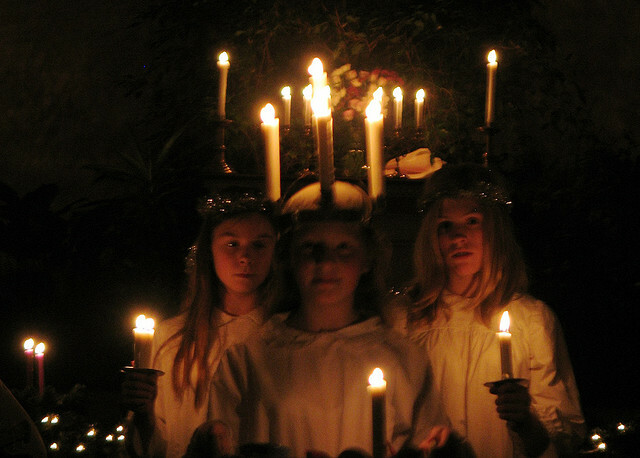 Although celebrating specific religious traditions is not permitted in most classrooms in America, there is no reason for teachers to avoid winter holidays all together. In fact, teaching about winter traditions can be a wonderful way to help bilingual children, in particular, feel even more comfortable and included in the classroom setting. The overall focus should be on helping students appreciate both the diversity and similarities of our global traditions. 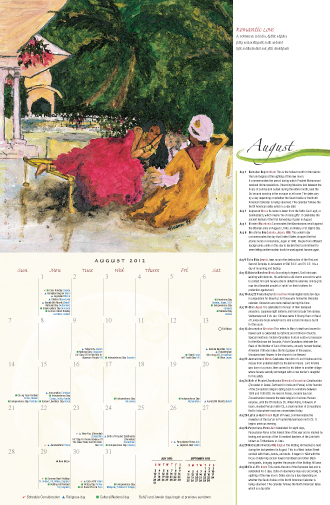 With the holiday season approaching, we wanted to let you know about a wonderful Multicultural Calendar that we recently discovered. This calendar would make a great gift for educators, families and organizations who celebrate diversity and teach children about other cultures and holidays. In fact, we liked it so much that Language Lizard has decided to give a few away!